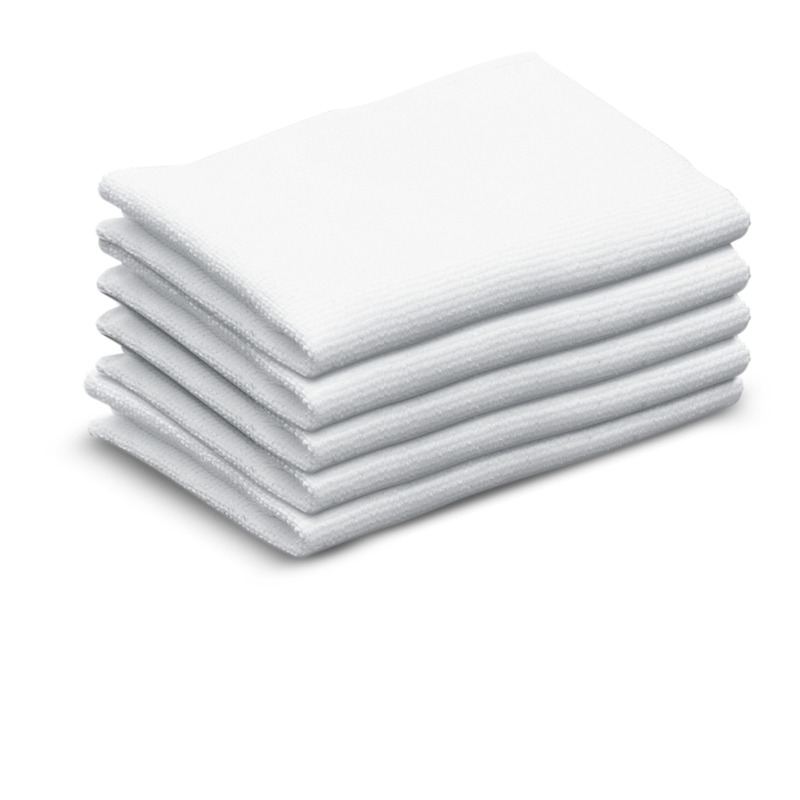 Terry cloths, small 63693570 https://www.kaercher.com/ie/accessory/terry-cloths-small-63693570.html Lint-free, absorbent and hard-wearing: 5 narrow, high-quality cotton floor cloths. Lint-free, absorbent and hard-wearing: 5 narrow, high-quality cotton floor cloths are suitable for use with the standard floor tool for Kärcher steam cleaners. Strong steam cleaner cloths for simple attachment to floor tool. For cleaning tiled, natural stone, linoleum and PVC floors. Terry cloths, small is rated 4.7 out of 5 by 3. Rated 5 out of 5 by mandoescleaning from Perfect for kitchen and bathroom floors I bought 2 boxes of these cloths so I can use a clean one every day ( if needed ) and machine wash the dirty ones every 1 to 2 weeks.I will never be without a clean one. They do a better job with my Karcher steamer than the old mop and bucket. When the time comes to buy new cloths I will choose these. My kitchen and bathroom floors have never looked so clean.